For thirteen years, Alexander had lived as a warrior-king. Now, upon his return to Babylon, he took off his armour, exchanged his helmet for a diadem and sat upon his throne. There was much to be done. Envoys ‘from practically all the inhabited world’ came to visit him. Some wished to congratulate Alexander on his conquests, others brought crowns, others still came to conclude ‘treaties of friendship and alliance’ or to ‘defend themselves against accusations’. Among those who came to the royal palace were envoys from Asia and Europe, from Libya, Carthage, Libyphoenicia and from ‘as far as the Pillars of Hercules’. 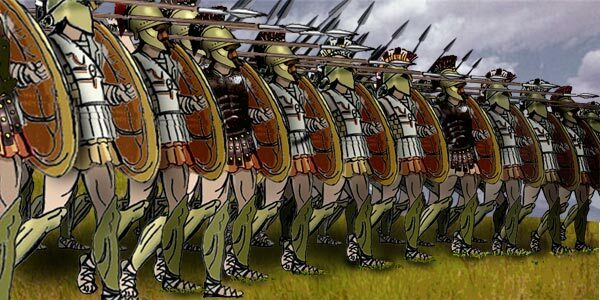 Envoys from Greece, Macedon, Illyria, the Adriatic and Thrace and even Gauls also arrived. Of the Gauls, Diodorus says they were the first of their kind to become known ‘in the Greek world’. Alexander arranged the order in which he would see each embassy. It was arranged along thematic lines. Diodorus now gives what I presume is the order in which he met those who wished to discuss religious matters. He met them, Diodorus says, in ‘order of importance of [their] sanctuaries’. What was Alexander like as a king? Well, Diodorus gives a positive view saying that he strove to give satisfying answers all who came to him, and send them away ‘content as far as he was able’. Chapter 113 opens with Diodorus’ usual formula for indicating that a new year has started. He names Agesias as the new archon at Athens. According to the Footnotes, Agesias – or Hegesias as the ‘Attic inscriptions’ call him – took up that role in the summer of 324 B.C. However, Alexander returned to Babylon in the spring of 323 B.C. I said in a previous post that one of my images of Alexander is that he was a great general but rubbish administrator. Well, this chapter assures me that that wasn’t the case. When he put his mind to it (even if only then) he could do the job well. A couple of things about Alexander the administrator-king jump out at me. Firstly, the fact that he put religious matters first in his order of importance. For a while now I have been thinking about how important religion was to him. I wonder if it gets as much attention from historians as it perhaps ought to. Secondly. I raised an eyebrow when I saw Elis appear before the Ammonians. I am presuming that the latter are either from Siwah or another sanctuary dedicated to Ammon. However, I have just looked Elis up on Wikipedia and found that that is where Olympia is located. A part of me is still a little surprised that the Ammonians were not seen first but I can now understand why. To the above, I would add that as we draw to the end of Diodorus’ account of Alexander’s life, I get no impression from him that in his later days, Alexander became a megalomaniac who drank too much.